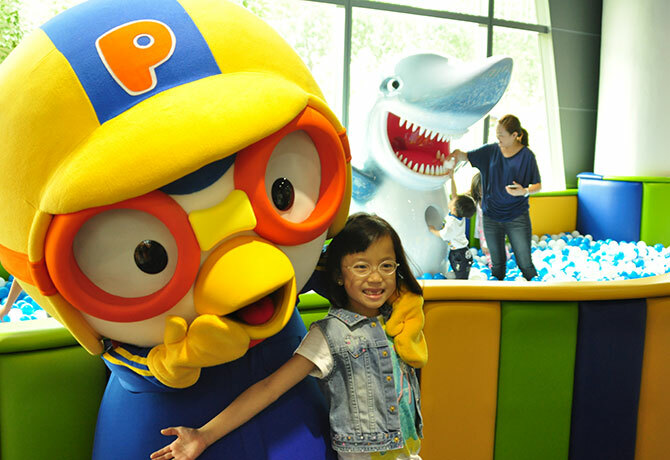 Korea’s top children animated character, Pororo, is making Singapore his new home. 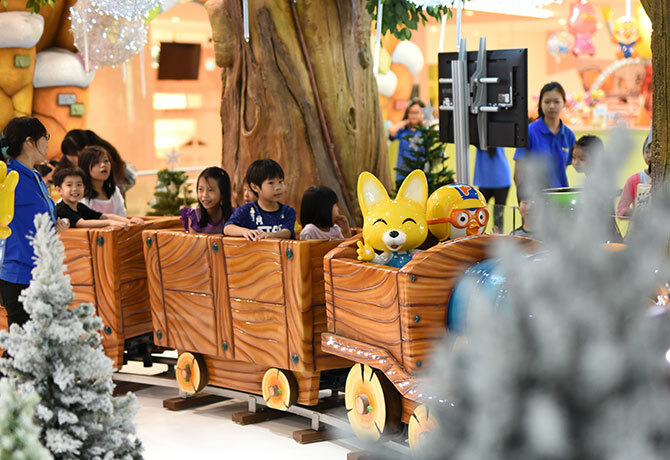 The Pororo-themed park, which is the first to be set up in Southeast Asia, will include attractions like the Pororo Express (a train ride for kids) and Pororo House (a replica of the cartoon character’s home). But the 11,000 sq ft park is not just about Pororo alone. Visitors can also look forward to meeting other characters from the cartoon, like Eddy the Fox and Petty the Penguin. Weekender visited the park recently, with our little ones in tow, and had a whale of a time. Upon entering the playground, we were led to the cabinet area where we kept our shoes. Yes, you read that right. It’s best to come in footwear that’s easy to slip on and off the park is a shoe-free area. Socks are compulsory for both adults and children, so remember to bring extra pairs along for your family. 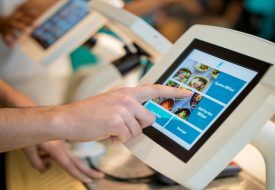 Among the attractions, we most enjoyed the Shark Ball Pool, an enclosed play area filled with plastic balls, and Poby’s Jungle Gym, an indoor playground where kids can climb, swing and slide. We also liked that these areas are designed such that parents can keep a close watch while allowing children to enjoy free play. Another hot favourite was the Pororo Express, a minute-long train ride around the snowy village of Porong Porong Forest. Parents, get your cameras ready here as you’ll get great photo opportunities of capturing your kids’ smiles as they set off on the ride with anticipation. But what good is a visit to Pororo Park without meeting the eponymous character and his friends in person? For about 10 minutes, we sang and danced at TongTong’s Little Theatre together with Pororo, Eddy and Loopy the Beaver. In addition to sing-a-longs, the theatre will also feature meet-and-greets and musicals (see schedule below). Feeling tired from all the activities? Take a break at the Loopy’s Café overlooking Marina Bay. 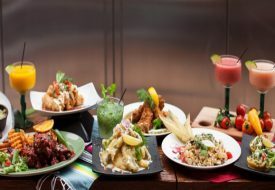 The 60-seater eating area offers main dishes and desserts for both adults and kids. 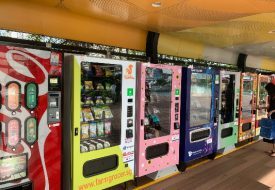 There is also free Wi-Fi so that parents can stay connected while the kids enjoy themselves in the park. We called it a day by popping by the Rody’s Toy Store (or rather, persuaded by our little one to head there) and picked up a wind-up Pororo toy. 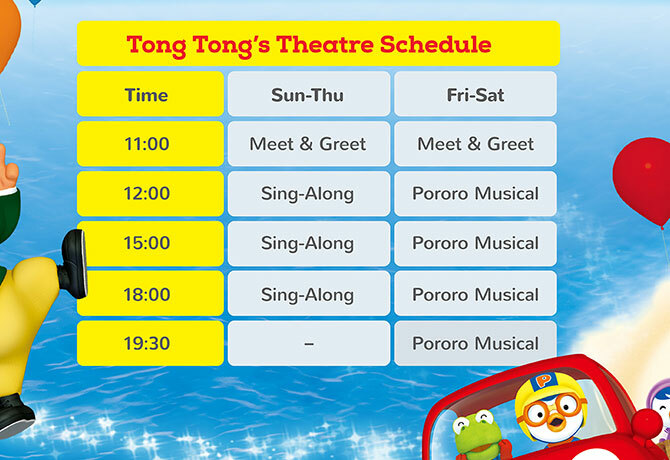 Pororo Park is located at #02-29 Marina Square, 6 Raffles Boulevard. Admission rates apply and annual membership packages are available. For more information, please refer to the official website here.